Convergence is about to begin! 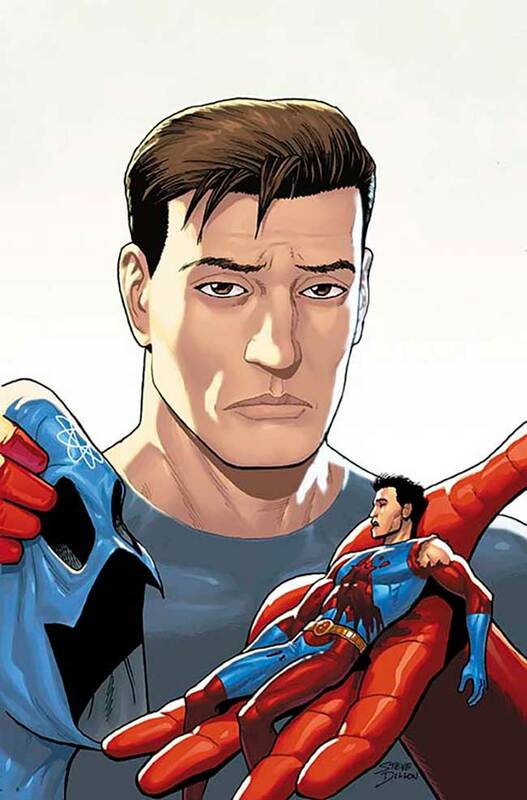 DC Comics sent Major Spoilers an exclusive first look at Convergence: The Atom #1, that you can check out, after the jump. First, let’s take a look at a very ominous cover from Steve Dillon that is a grim reminder of what happened to Ryan Choi. 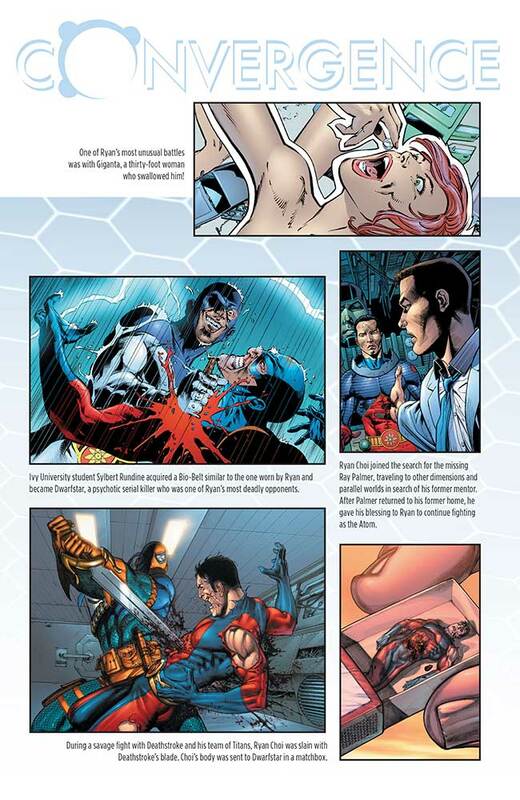 Major Spoilers has its own Hero Histories, but the upcoming Convergence: The Atom #1 will feature a quick look at some of the big moments in the character’s history. 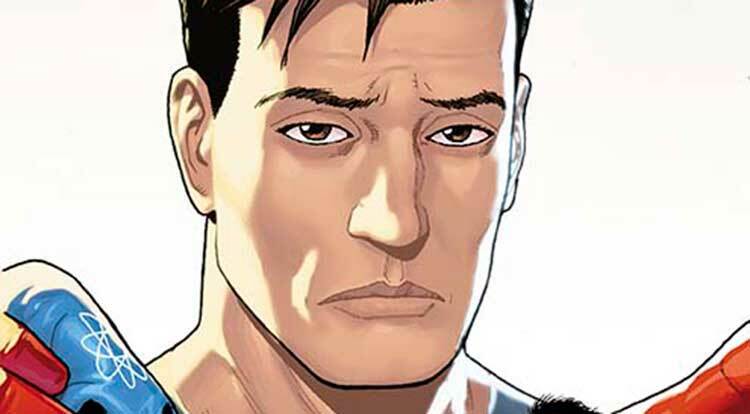 I really like Ray Palmer as The Atom, but Ryan Choi was definitely my favorite version of the hero. What about you? 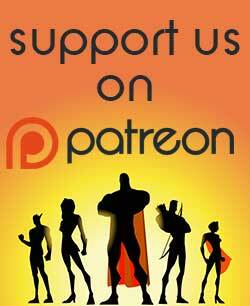 Use the comment section below to discuss your favorite Atom moments, and be on the lookout for Convergence: The Atom #1 when it arrives on April 8, 2015. 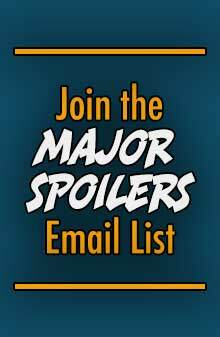 You’ll also want to check the site throughout the Convergence event, as Major Spoilers’ team of writers plans to review all the books related to the event. Why? BECAUSE WE CAN! 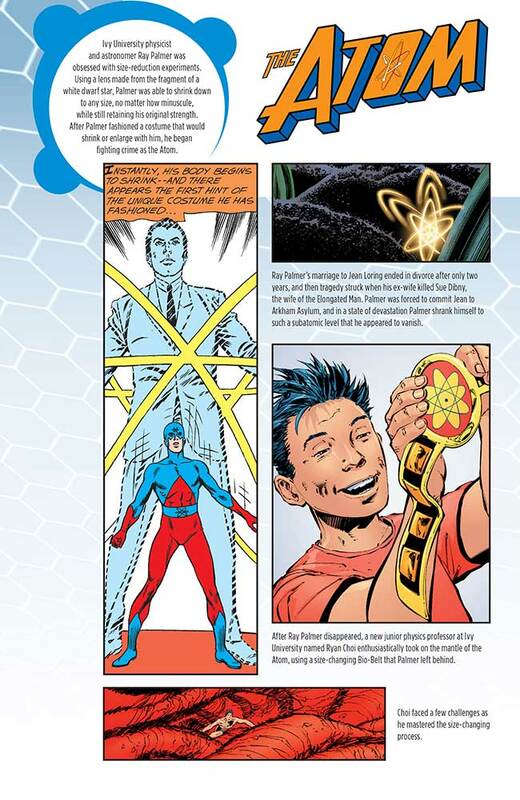 To quote, “Ryan Choi joined the search for the missing Ray Palmer, traveling to other dimensions and parallel worlds in search of his former mentor.” So, how do we know that the Ryan Choi who returned (and was later killed) was the same Ryan Choi who went off looking for Ray Palmer? Yeah definitely Ryan Choi for me. 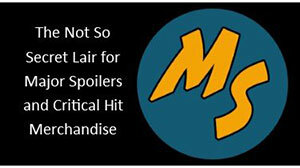 Especially since Ray Palmer’s backstory is seriously messed up, just look up Jean Loring. In addition I’ve always wanted to see Ryan and Giganta become a real couple.